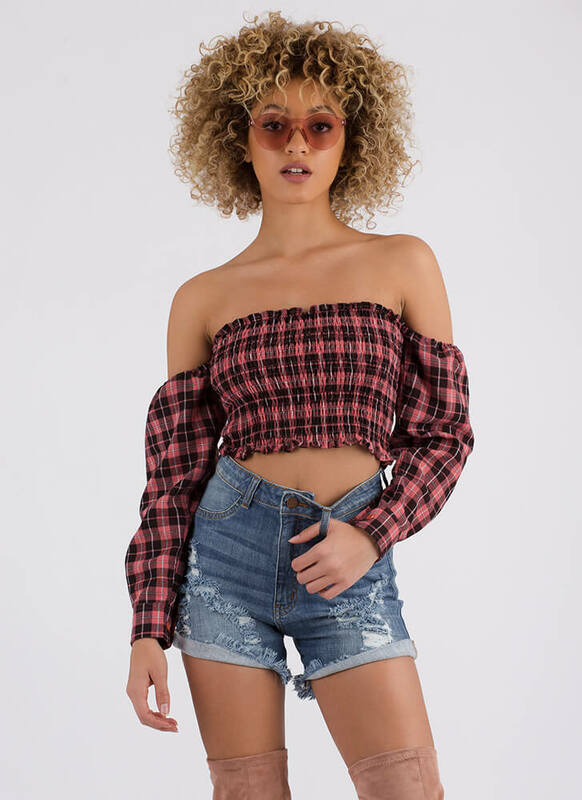 We don't wanna have to use tough love on you, but if you don't take these shorts home, we might just have to... Semi-stretchy, high-waisted, destroyed denim shorts feature whiskering and stringy distressed patches on the hips and a fringed bottom hem that is rolled and tacked on the sides. Jean shorts are finished with decorative front pockets and functional rear pockets. Distressing may vary slightly.